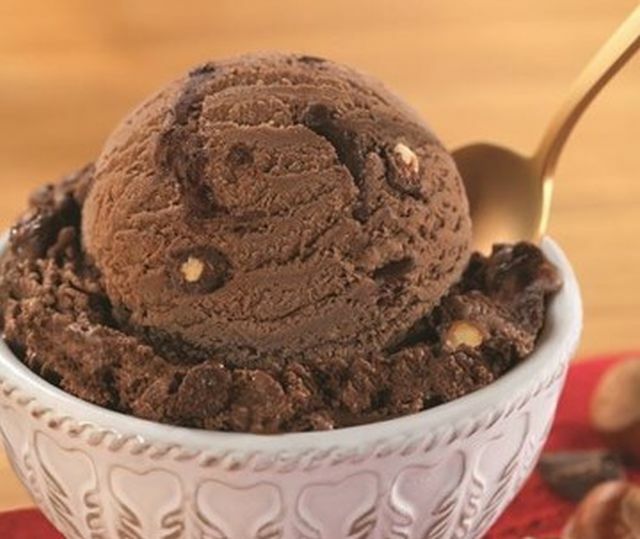 Baskin-Robbins' Flavor of the Month for February 2017 is Chocolate Hazelnut ice cream. The flavor features chocolate ice cream with chocolaty coated hazelnuts and a hazelnut cookie fudge ribbon. With Valentine's Day this month, the chain is also offering a number of Valentine's-themed desserts including two heart cakes: the "Be Mine" Heart Cake and new Ganache Conversation Heart Cake. 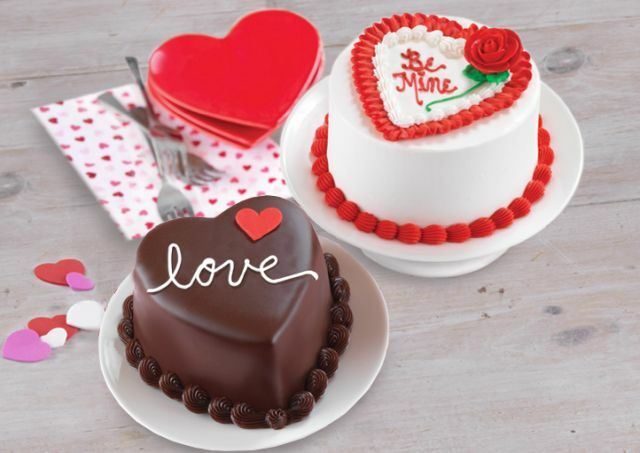 The new Ganache Conversation Heart Cake features a ganache-enrobed, heart-shaped ice cream cake, while the "Be Mine" Heart Cake features a red and white heart design and a red rose made out of icing. Both cakes can be personalized with a message and customized with any ice cream and cake flavor combination. Baskin-Robbins continues to offer the Love Potion #31 Polar Pizza introduced last month as well as the Love Potion #31 cookie and original Love Potion #31 ice cream.